Did you try to make posters or flyers to promote an event, but realize it was a tricky thing to do? Because you don’t have any technical and artistic skill which are essential to creating a graphics product. Today, you can learn how to use an easy-to-use professional tool to make a unique poster that belongs to you. If you are looking for a simple editor, then you can refer to DesignCap. DesignCap is an online graphic design tool that is not just for designers and can be used by everyone who wants to design posters. You can quickly create a poster or flyer which doesn’t require elaborate work in design. Even if you haven’t used a similar tool before, you can make a quality poster by groping your own steps because it is a simple and easy-to-use tool. You don’t have to design posters from scratch, because it’s ready for you. You can use a wide of different templates, and you just need to choose a template you prefer according to your needs, so as to replace the contents on the basis of the template, make a poster tailored for you. DesignCap has a concise interface which is based on dragging and dropping. After the user enters its home page (https://www.designcap.com/), you will find out how easy to use it is. There is no need to see a variety of tutorials at all. 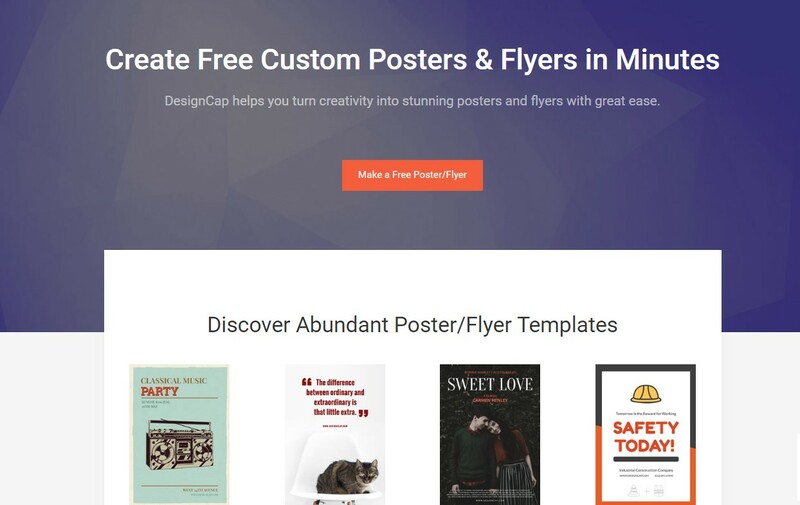 When you enter Designcap’s homepage, there will be an orange button “make a free poster/flyer,” and by clicking this button, you can directly go to the edit page to start your poster making. Then you can select the type of template you want, as well as various editing functions, through the toolbar in the upper-left corner. At the top menu of the interface, you will see some buttons like Save, Share, Download and so on. Text: add free text or stylized text with built-in backgrounds. DesignCap allows you to choose between a creative collection of fonts whose use is completely free. Clipart: allow you to add a lot of elements such as icons, shapes, embellishments and so on. If you often use different clipart on the visual contents you created, DesignCap is a good choice. Background: change the color of the background. There are also options that allow you to add a gradient color or to add background effects with all kinds of pattern design. All in all, DesignCap is an online service through which you can create posters directly from the browser window. It offers many ready templates and many options available and is usable both for free and no need to subscribe. 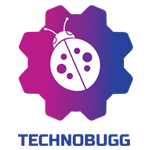 It is an excellent tool for non-specialists and can also be useful for professionals. I believe the simplicity of this tool will convince you.